With Senate Control At Stake, Key Wis. Race Tightens The seat that Republican former Gov. Tommy Thompson and Democratic Rep. Tammy Baldwin are vying for is one of many that Democrats are defending in November. Early polls showed Thompson might easily flip the seat for the GOP, but he's now trailing. One of the most important seats in the battle for control of the U.S. Senate is in Wisconsin, where Democrat Herb Kohl is retiring. Early polls showed popular former Gov. 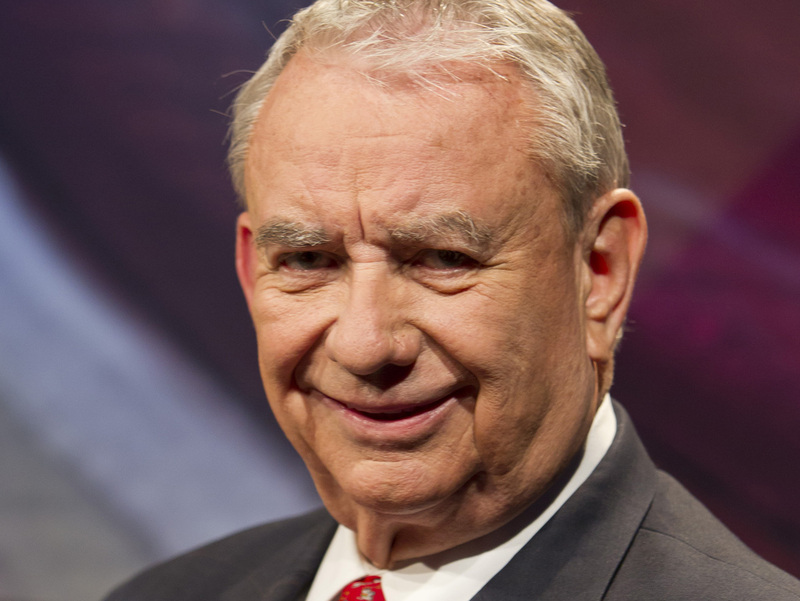 Tommy Thompson might easily flip the seat to the GOP, but he's now trailing Democratic Rep. Tammy Baldwin. It's a race that's going down to the wire in this almost evenly divided state. 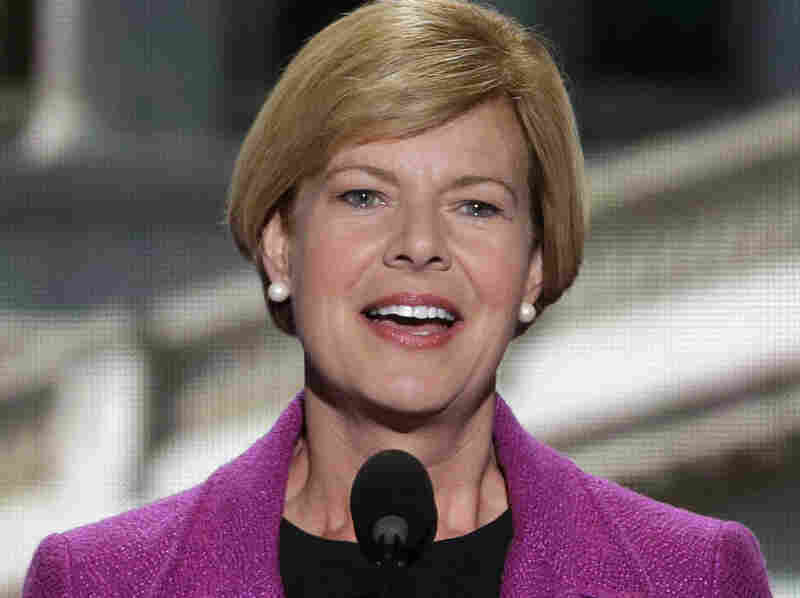 The liberal congresswoman from Madison was considered the underdog after Republicans nominated the four-term ex-governor in August. But recent polls show the race has flipped, in part because Baldwin is firing up the Democratic Party base. U.S. Rep. Tammy Baldwin addresses the Democratic National Convention in Charlotte, N.C., earlier this month. Baldwin was once considered the underdog in the race for retiring Democrat Herb Kohl's Senate seat, but now polls show her leading Tommy Thompson. At an annual corn roast held by Baldwin's fellow congressman, Ron Kind, on Thursday night in the small town of West Salem, Baldwin pressed the flesh amid the feast and polka music. Nancy Tilmonas, a retired teacher from Holmen, Wis., said she was meeting the candidate in person for the first time. "We're just so happy to have a good candidate," Tilmonas said. "I'm just really happy with what I'm seeing in her ads and in her literature, and with what she'll do for our state." But while Wisconsin Democrats are pleasantly surprised to see Baldwin now in the lead, they also know the race is far from over. Across the state in Fond Du Lac, 63-year-old Alex Seminas said many voters fondly remember Thompson's 14 years as governor. "I love the guy! I think he's great," Seminas said. "Tommy Thompson is like Wisconsin," he said. "He was here when the Packers won the Super Bowl, he was our governor then — he just represents Wisconsin well." And a lot of voters in Wisconsin would say the same. But other diners at Fond du Lac's Ala Roma Pizzeria and Pub wondered if, after more than a decade out of office, Thompson's time in politics has come and gone. Former Gov. Tommy Thompson in Madison, Wis., ahead of the Aug. 14 Republican primary for Wisconsin's open Senate seat. He was one of four candidates. Business owner Rick Mueller, 45, said he appreciates all Thompson did as governor. But, he says, "When I do see him, I think, you know, why isn't he in a fishing boat? I look at him, and I think he's done enough, and he doesn't have a whole lot to prove." And then there are those who didn't think much of Thompson in the '80s and '90s and consider him an even worse candidate now. Down south of Milwaukee at South Park Lanes, bowler and schoolteacher Jackie Pollman said Thompson is "out of touch." The Tommy Thompson who's running for Senate seems different from Tommy Thompson the governor, she said. "I think he doesn't have the people's best interests at heart anymore — the common, everyday person. I think he did have that, but I don't think he has that anymore." That's a theme that ads attacking Thompson are hitting hard, making hay out of the fact that he made millions as a Washington lobbyist after serving as Health and Human Services secretary under President Bush. And the well-funded Baldwin campaign has been able to hammer away at him almost completely unanswered because Thompson emerged from a bitter four-way Republican primary battered, bruised and almost out of money. "He's said that basically they were broke," said Republican political strategist Scott Becher. But, Becher says, the Thompson campaign is now refocused, has been raising money and is ready to hit back at Baldwin, hard. And big money from outside groups is flowing into the Wisconsin Senate race, said political scientist Joe Heim of the University of Wisconsin, La Crosse. "I'm afraid it's going to get nasty," he said. After all, Heim said, this could be the race that determines control of the Senate. "As other races get decided or look like they're less contestable, I think this one's going to become more." The outside money and the ads could make the difference in this closely divided state. And so, too, could the three Thompson-Baldwin debates, the first of which is Friday night.